Roger Dawsons achievements in Real Estate are well documented. He began his career as a sales consultant in 1983 and in 1987 shifted his focus to Auctioneering. Over 9500 auctions later Roger has firmly established himself as one of New Zealand's most prolific Auctioneers and as an architect of Harcourts market leading auction business in Christchurch. Rogers move to Harcourts in 1992 bought with it the opportunity to drive the growth of the groups auction business. With an ambitious plan for development in place, Roger has exceeded expectations. Since he has been on board Harcourts has consistently been one of the top auction listing franchise groups in Australasia and has been instrumental in raising the standards and public perception of Auction marketing programmes. Roger is passionately convinced of the merits of auction having witnessed countless property owners left staggered by the results they've achieved. His advocacy is infectious and the results consistently validate his views. 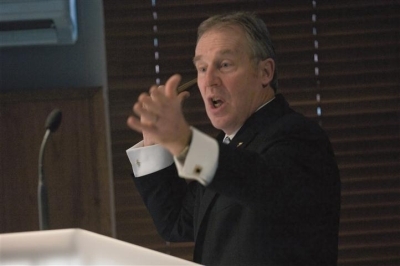 Rogers career as an auctioneer has earned him countless accolades. In 1998 he won the New Zealand Property Auctioneering Championship conducted by the Real Estate Institute of New Zealand and in 2000, 2002 and 2004 Roger won the Harcourts International Auctioneer of the Year Championships. He highlighted his abilities by again winning the 2004 New Zealand Property Auctioneering Championship, effectively cementing him as one of the top property Auctioneers in the country. Now retired from competing Roger helps train and judge his fellow auctioneers to assist in raising New Zealands auctioneering standards. Roger Dawson is as passionate today as he has ever been about the auction business and will continue to apply himself tirelessly for the benefit of Harcourts clients. He is happy to discuss Auctions with you anytime and welcomes your call. Assisting numerous worthy charities is something Roger is also very passionate about. Roger is happy to discuss fundraising efforts with charitable groups at any time.